As we go through life, our lives are constantly changing. Through words of others and life’s circumstances we are changed. But how can we have a good attitude towards it? Can we use it for good? Clay is a product that is easy to mold when wet but can be transformed into a beautiful hard piece of art. As we look at Jeremiah God likens man to clay. Being in student ministry I am on the local HS campus often, and do a lot with teaching Character Ed. One of the main things that coaches in sports look for in players is their teachability, or being coachable. The problem is being coachable is hard. Often it means sucking in your pride and being able to take constructive criticism in order to make you better. This is not easy and in life this can be done through painful or hard experiences. In this passage God is the potter and the people of Israel are the clay. It is a perfect picture of us as the clay in the potters hands. The potter is constantly working the piece of clay in order to make it the best He can. Our jobs as the clay is to stay moldable and workable in the Potters hands. This requires us to be humble, listen and to learn. As we stay teachable and moldable, God is then able to mold us to be the man or woman who He created us to become. What are some ways to stay teachable or be like clay? 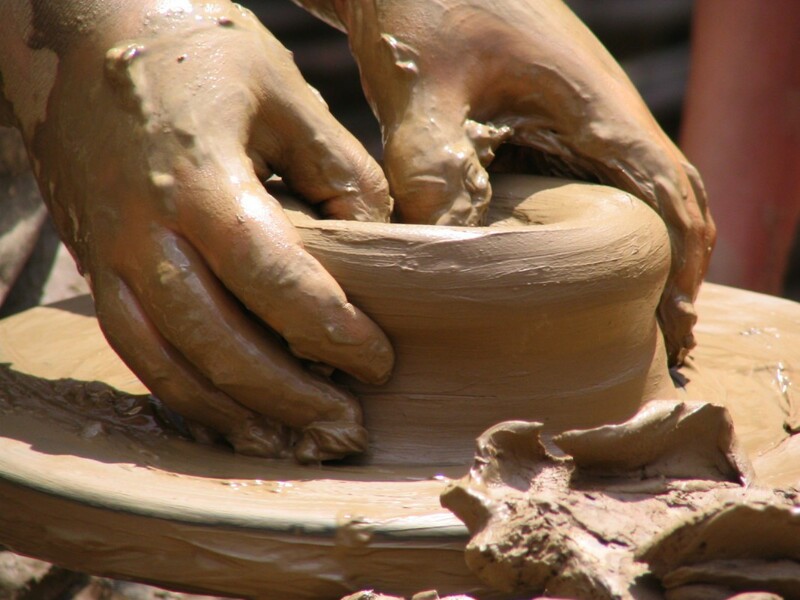 “Our jobs as the clay is to stay moldable and workable in the Potters hands.” Amen! Such an awesome devotional thought to start the day with. I think this is something us, longtime Christ-followers, can struggle with. Over time, it’s all to easy to think that we have our faith figured out. Yet, there is much danger in becoming dry and inflexible. I think the challenge is to mature in our faith, and to say moldable at the same time–something that is not easy, but is much needed. Thanks Jeremy, for the excellent reminder! So true and something that I believe that all Christians will always be struggling with. Prayer and time spent with God is one of the greatest solutions to this.